Keep up with the latest news and announcements. Do you prefer to vote online? Do you toss those paper ballots we send you into your recycle bin or shredder? Now you can opt out of receiving paper ballots in the mail and help us save paper and faloose! If you are committed to voting electronically, you can opt out of receiving paper by updating the preferences in your user profile. Log into AramcoBrats, Inc. and go to your user profile. Select "Edit Profile" at the top of the page. Toward the bottom, you will find a "Preferences" section. Click "No" to discontinue receiving paper ballots. Hey! While you're in there, why not confirm your contact information is current? If you do nothing, you will continue to automatically receive a paper ballot in your mailbox whether you want it or not. We hope you will take a few minutes to help us cut down on waste and keep your organization's overhead costs low. Shukran! Another Friendly Deadline Reminder - Hammi, Hammi! Don't forget that Early Registration closes Sunday (3/31/19) at 11:59PM CDT! You must be paid in full by then to get the $95 early registration rate. Late registration (after March 31st) and walk-ins will be $120. 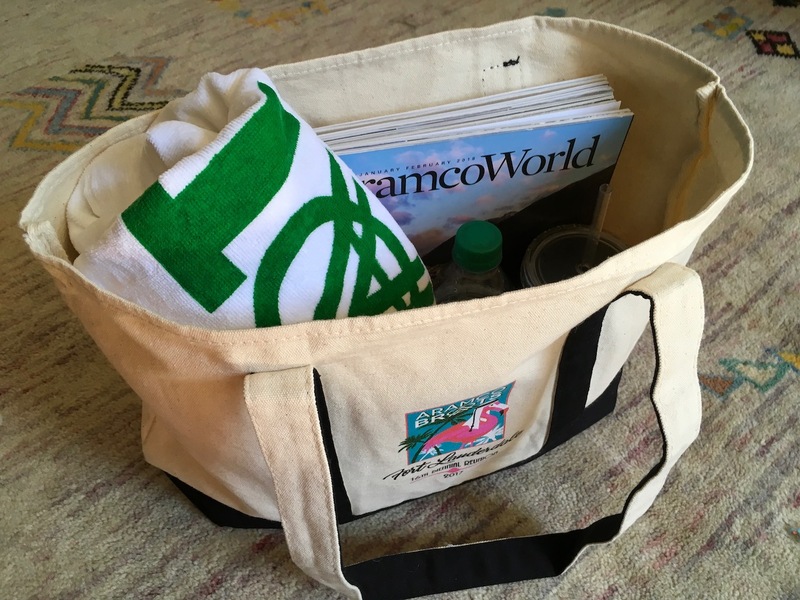 Reunion swag bags and contents are subject to availability for late registrants and walk-ins. If you need more good reasons to register early, we've got 3 for you! Be sure to check out the Early Registration Raffle! March 31, 2019 is also the last day to cancel and receive FULL refund of registration fees. Pro tip #1: Don't wait until 11:58PM on Sunday to discover you don't remember your login credentials! We have 1 Database Director who will be getting slammed over the weekend. As amazing as she is, she cannot respond to a bunch of requests simultaneously at the last second. Give yourself (and our Database Director) a little slack! 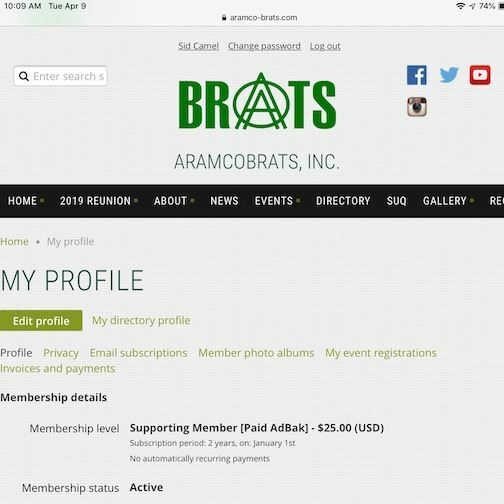 Pro tip #2: If you have yet to become a member (create an online account) at www.aramco-brats.com, plan ahead and do that NOW! You will need to allow time for membership request approval. 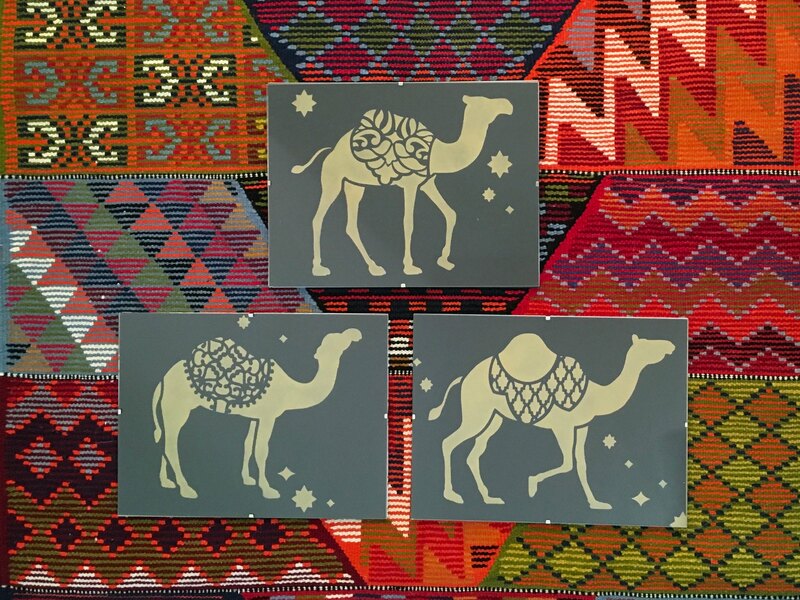 Early Registration Raffle: 3 More Reasons to Register Early! Our popular "early registration" online raffle for reunion attendees is now live! Those who register for the reunion by the early registration deadline (3/31/2019 CDT) are eligible to participate in the drawing to win one (or more) of 3 different prizes. Tickets are $5 each. We will pull a name for each prize, so be sure to buy at least 3! You could win more than one prize! Please read all rules carefully and good luck! You may purchase as many raffle tickets as you want. Each ticket will give you one opportunity to win. 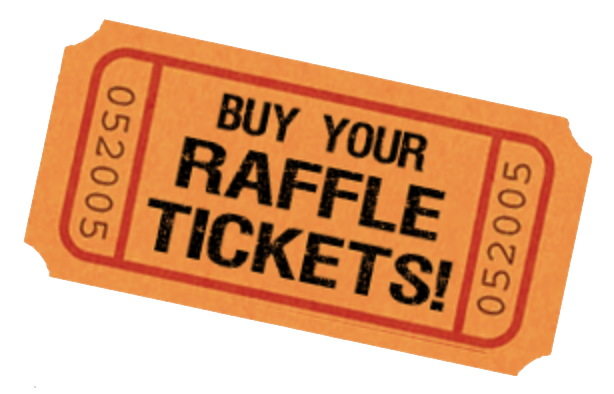 Cut-off date for raffle Ticket purchase is 11:59PM CDT on May 1, 2019, but you MUST have paid your reunion registration in full by 3/31/2019 (no exceptions and no refunds). It is your responsibility to notify us if your contact information changes between now and the reunion. Drawing will occur shortly after cut-off date for raffle ticket purchase. If your name is drawn, you will be notified via email. If your contact information is not valid, or you do not confirm receipt within 48 hours, the prize will be assigned to the next name drawn. If you cancel your registration prior to the reunion, you must notify us. We will then assign the certificate to the next name drawn. All prizes can be collected at Reunion Registration. Certificate may not be transferred to another person (no exceptions). 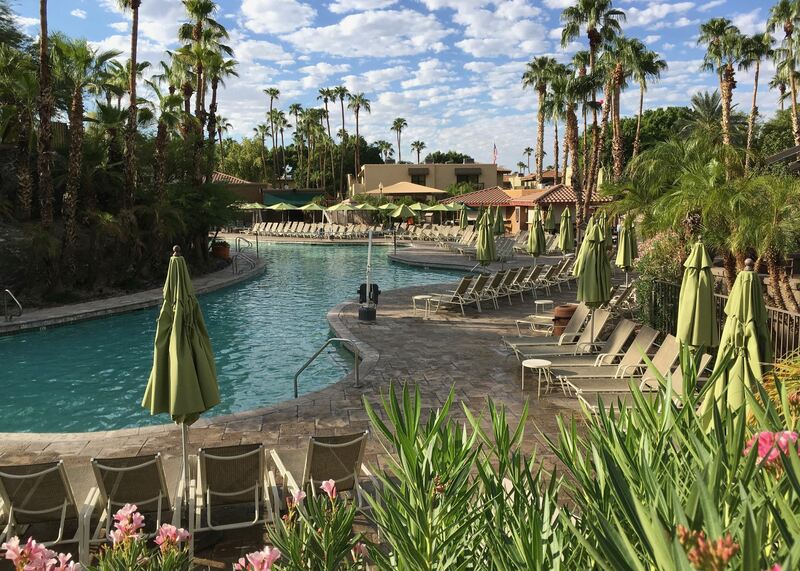 1 complimentary, 2-night-stay certificate from Pointe Hilton Squaw Peak. Certificate may be applied to your stay during the reunion. BrAt Beach Fun Pack: 1 ghutra print tumbler, 1 BrAt beach towel, 1 Ft. Lauderdale beach tote. * Just add sand and water! *Ghutra tote bag may be substituted if preferred. The deadline for early registration is fast approaching! Yallah, yallah! All dates are through 11:59PM CDT. March 31, 2019 - Last day of early registration. You must be fully registered (i.e. paid in full) by March 31, 2019 to get the $95 early registration rate. Late registration (after March 31st) and walk-ins will be $120. Reunion swag bags and contents are subject to availability for late registrants and walk-ins. March 31, 2019 - Last day to cancel and receive FULL refund of registration fees. April 1 - May 20, 2019 - PARTIAL refunds will be given if you cancel between these dates. No refunds after May 20, 2019. May 1, 2019 - Final day to cancel golf or bowling for full refund. You may find a substitute to reimburse you for your spot after that date. 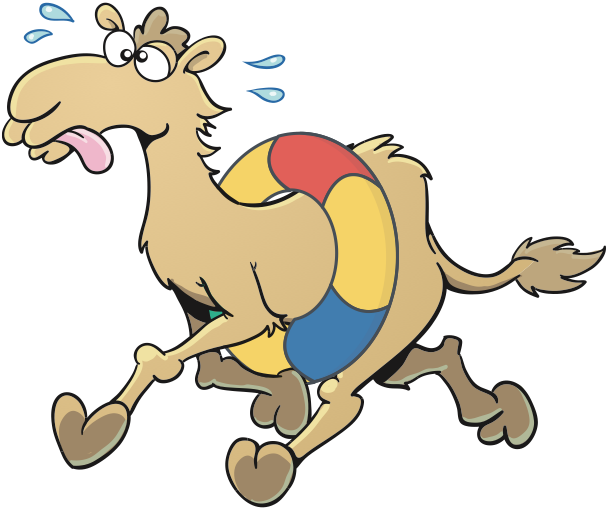 Interested in volunteering for the Aramco Brats, Inc. Board of Directors? You may not realize it, but ABI is run by Brats just like you. Future officers and volunteers are needed for the 2019-2021 term. Submit your nomination online by April 12, 2019. Responsibilities for board positions are outlined here. Most volunteer work is done via conference call and/or by email in approximately 1-3 hours per month. The board meets in person twice per term - once at the reunion and once during the off-year. Time commitment and meeting frequency increase with the planning cycle for the Bi-Annual Brat Reunion. To be consider for any of the positions above, submit your nomination online by April 12, 2019. 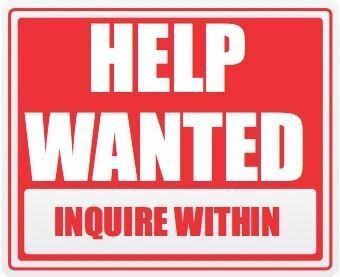 If you are interested in learning more about becoming an ABI Board Member or volunteering in a short-term capacity, please contact us! We are bumping up against our hotel room block limit on peak nights for the reunion. If you have a room reservation but know you will NOT be attending, it would be greatly appreciated if you could release your rooms NOW. Shukran! This is a fairly large hotel with some availability outside of our room block. However, they do expect to be sold out over Memorial Day weekend. If you want to stay in the reunion hotel but have been unable to reserve a room in our block, we need you to follow the steps below. We will do our best to move Brats off the wait list and into our room block. Contact Liz to be put on the wait list. As rooms become available in our room block, we will offer those rooms to Brats on the wait list who are registered to attend the reunion. The wait list will be honored chronologically. Book a room at the hotel through Hilton to be assured you have one. We recommend you sign up for Hilton Honors (it's free!) to get best rates. If you want us to be able to transfer your room to our room block, DO NOT book through any site other than Hilton (e.g. expedia, hotels.com)! If your reservation is not booked directly through Hilton, we will not be able to move you into our block and get you the reunion room rates. If you want us to be able to transfer your room to our room block, DO NOT book a non-refundable room! If you book a non-refundable room, we will not be able to move you into our block and get you the reunion room rates. SEND your confirmation # to Liz. As rooms become available in our room block, we will have Hilton move your reservation into our room block at our group rate. Your reservation was made between 3/12 - 4/30. You request to cancel reunion registration by 5/1. You provide proof of Squaw Peak Hilton hotel room cancellation. S o much about a Brat Reunion distinguishes it from any other reunion you may have attended. More than a class reunion, it is a community reunion which truly takes you back to your childhood for a memorable weekend. A unique component of our fundraising activity has always been the very popular raffle and auctions at the reunions. 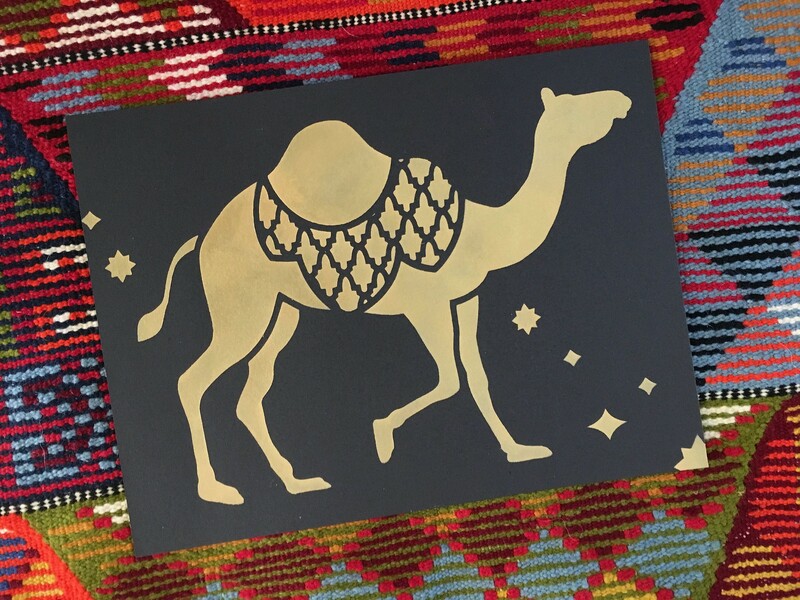 Strolling through the raffle/auction room enhances the reunion experience, as mementos of Saudi Arabia, Aramco, and our journeys throughout the region are on display, thanks to the generosity of your fellow brats, teachers and annuitants. In order to keep this memorable reunion experience going, we are in need of items to raffle and auction at our upcoming reunion. Do you have stuff taking up space in your attic or garage which no longer fit your decor? Maybe you just want to declutter? Please consider donating these items. You'll be off-loading clutter, making other Brats and attendees happy and helping to defray ABI expenses at the same time! Ready to offload your stuff for a good cause? 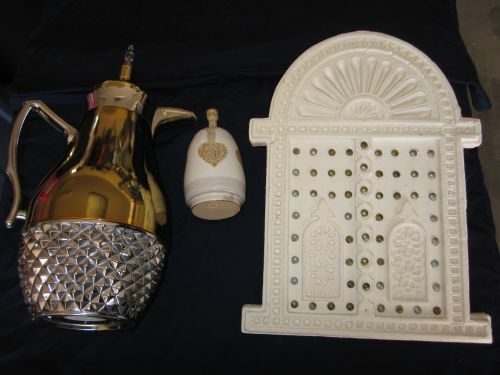 Please contact raffleauction@aramco-brats.com for shipping instructions and supply a photo of items if possible. Shukran in advance! Buy Your Reunion Raffle Tickets Now and Save Some Faloose! Reunion raffle tickets are now available! Why wait until you are in Phoenix? Save your faloose by purchasing your raffle tickets now at the pre-reunion discounted prices . If you place your order now, they will be ready and waiting for you when you check in at the registration desk. Offer is good through May 19th (midnight CST). All proceeds benefit YOUR ABI! The Phoenix committee is planning the most unique and fun golf event ever at a Brat reunion. For the first time, we are conducting the tournament at an 18-hole Par 3 course! The advantages of having the tournament on a par 3 course is the tournament should take between 2 and 2.5 hours, and the short course makes this accommodating to players of all skill levels. Now you can get your swings in, have a few cocktails, and still get back to the resort in time for more socializing and Aramco Brat fun poolside before the banquet. The format this reunion will be 2-person teams - Best Ball. Play your own ball and take the best score between you and your partner. We are also planning multiple on-course games like "closest to the pin" and "longest putt." So...grab a partner and get signed up ASAP. The Mountain Shadows Golf Course is one of the most unique in Arizona as it backs up to Camelback Mountain and has gorgeous 360-degree views. You will not be disappointed by this location for the event! Yallah! Registration is now open for the 2019 Biennial ARAMCO Brat Reunion! Make tracks back to Camelback in Phoenix, AZ! 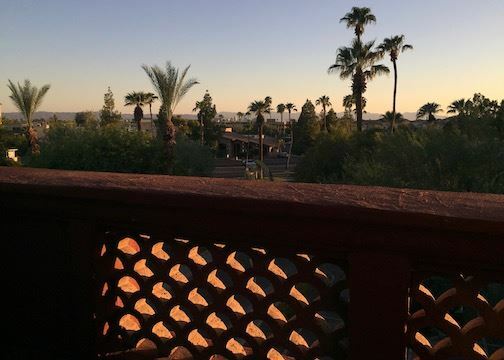 Home to some of our most popular reunions, Arizona's palms trees, bougainvillea, frangipanis and sand will take you back to your childhood in the sandbox. Pack your sunblock, swimsuits and BRATastic desire for fun with friends from long ago and come chill with us. 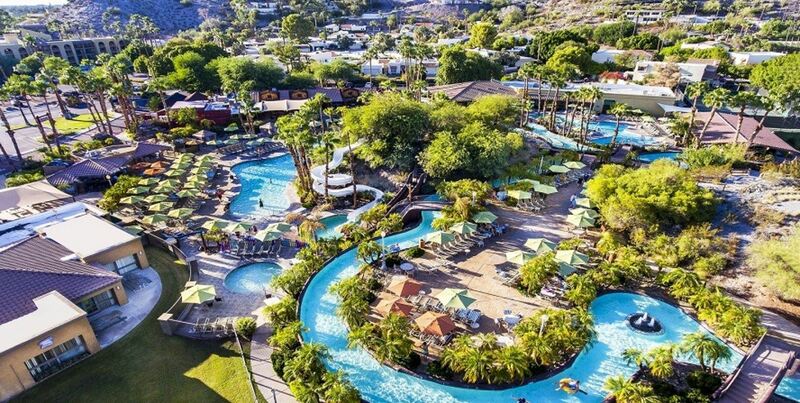 We've got the heat beat with plenty of pools, waterfalls...and a winding, lazy river! Your registration fee pays for the Friday Welcome Reception, the Sunday Banquet and Dance, goodie bag with t-shirt, other fun reunion swag and giveaways. Bowling and Golf are additional charges. Click here to register for the reunion!